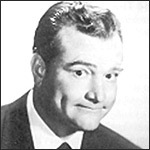 Red Skelton, comic genius, and America’s most beloved clown was best remembered by the television generation for his physical comedy - but his impressive gallery of comic characterizations didn't need to be seen to be hilarious! Through sound alone, he brought to life a "fellow from the country," an inept outlaw, a down-for-the-count boxer, a shady politician, a Brooklynese braggart...and a holy terror known as "Junior, the Mean Widdle Kid." Red and his quirky cast of regulars - including Ozzie & Harriet, Wonderful Smith, Truman Bradley, Verna Felton, Pat McGeehan, Lurene Tuttle, Anita Ellis, and Rod O’Connor - examined the silliness of mid-century society.